Minister of Water, Irrigation and Electricity and CEO of Ethiopian Electric Power visit UK to exchange best practice with British experts in renewable energy. The UK Government’s Department for International Trade organized the visit which highlighted UK expertise in renewable energy, and allowed the Ministerand Eng. Azeb to meet key companies and stakeholders in this sector. 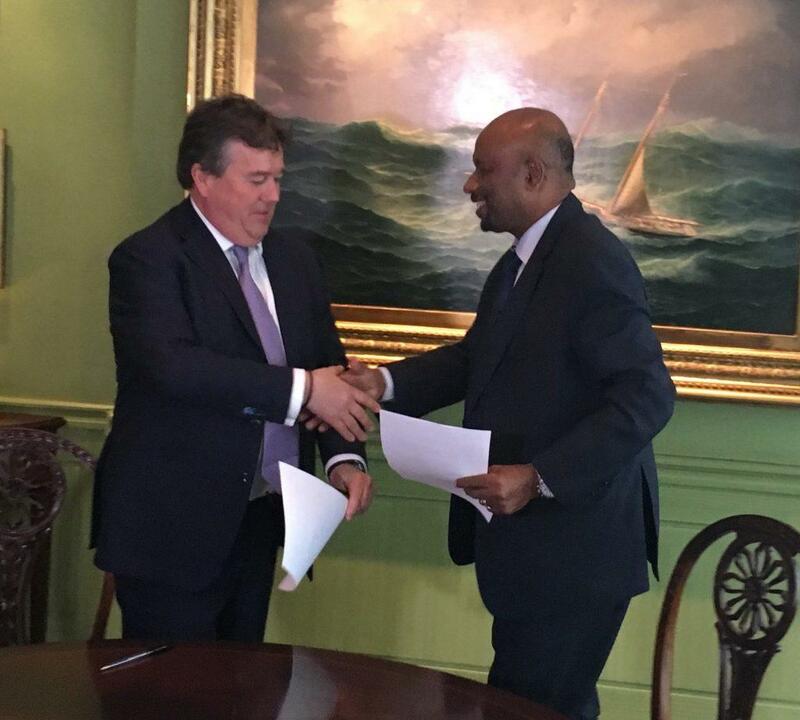 During the visit, Minister Seleshi signed a Memorandum of Understanding with British firm, Winch Energy, to develop a project to supply off-grid solar energy to 700 villages in rural Ethiopia, 100 villages in the first phase. During the visit, H.E. Minister Seleshi and Eng. Azeb accompanied by H.E. 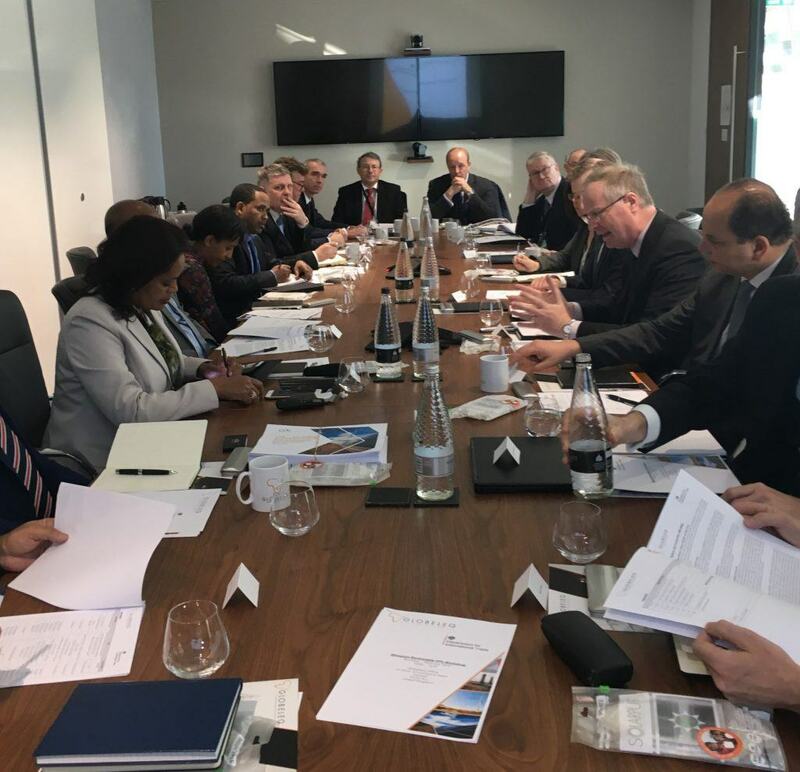 Dr Hailemichael Aberra Afework, Ethiopian Ambassador to the UK, met with Mr Jeremy Lefroy MP, the UK Prime Minister’s Trade Envoy for Ethiopia as well as other UK government officials and British companies in the renewable energy sector. In their meetings they discussed areas where the UK and Ethiopia can deepen their energy sector investment relationship. Minister Seleshi and Eng. 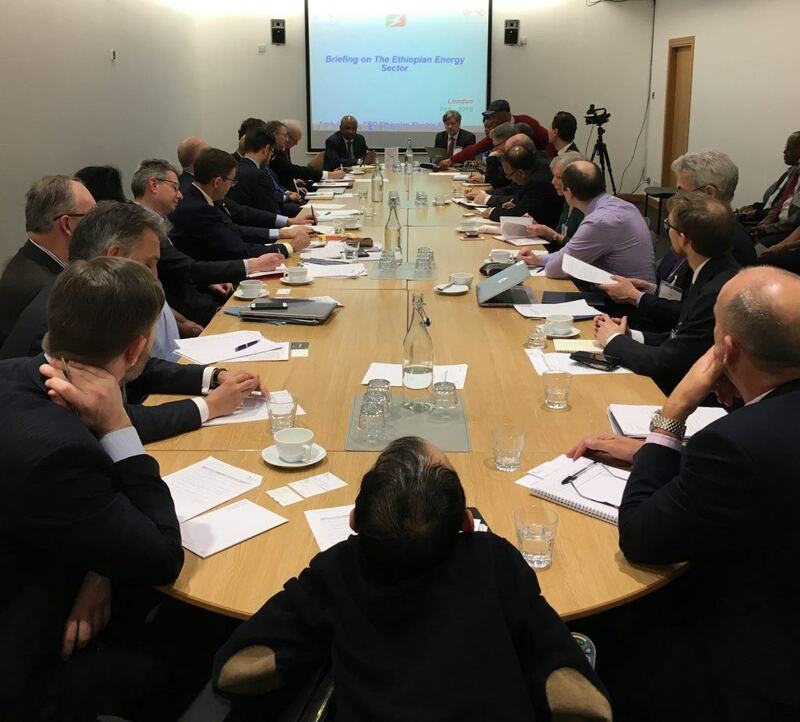 Azeb also attended a roundtable chaired by the Trade Envoy and hosted by British renewable energy company Globeleq. At the roundtable a number of UK companies presented their areas of expertise, whilst Minister Seleshi also shared Ethiopian experience on the energy sector including the plan to generate 17,000MW of power by 2020. The MoU with Winch energy comes following the Ethiopian government’s call for international power developers to help achieve this target.